Deutsche Telekom (DT) is heavily involved in open source groups such as the Open Networking Foundation (ONF), the Telecom Infra Project and some Linux Foundation open source projects. Yet, when it comes to talking about its internal work to upgrade its own network, DT has been decidedly closed-lipped. The service provider recently opened up about its network transformation, which it calls Access 4.0. The company said that it is focusing on its fixed-line network for fiber-to-the-home and fiber-to-the-basement. Apparently, the company still has a lot of copper connections in the last mile, and DT didn’t say anything about its plans to lay more fiber. But the 4.0 upgrades will impact access-relevant hardware and broadband network gateway (BNG) functions in central offices. DT has called out two vendors that are helping it with its Access 4.0 project: RtBrick and Reply. It is working with these vendors in conjunction with open source software from the CORD projects. DT is customizing CORD software for Access 4.0, adapting it for its specific needs. The basic idea behind CORD is to replace legacy, proprietary equipment at telco central offices with more generic hardware that can run open source software. 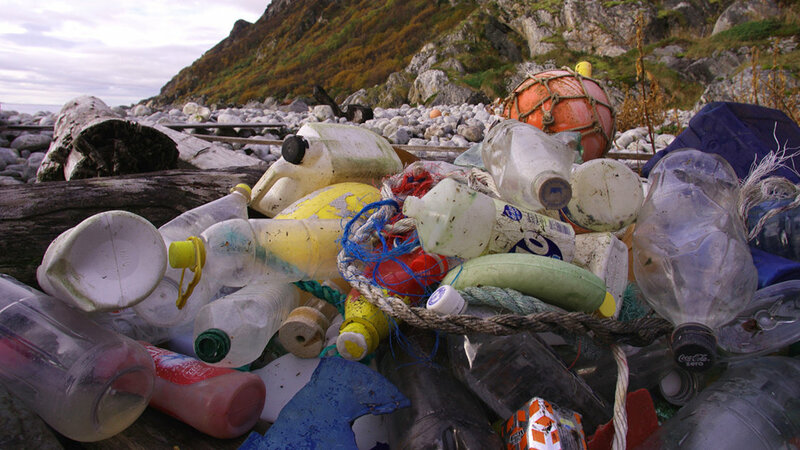 That delay in spreading the news about the threats of plastic came with a major cost. In the time since scientific research on plastic pollution was first published in the early 1970s, billions of metric tons of plastic waste has been tossed in landfills and accumulated in terrestrial and marine ecosystems — and in the bodies of countless people and animals. What would the world be like if we had listened to early researchers much earlier? And what prevented us from listening? To analyze the materials, Dr. Arjan Dijkstra and Dr. Colin Wilkins, geologists from the University’s School of Geography, Earth and Environmental Sciences, put a cell phone in a blender and reduced it to dust. They then took the blended phone and mixed it at almost 500°C with a powerful oxidizer, sodium peroxide. They were able to do a detailed analysis of the resulting solution in acid to determine what chemicals were present in the cell phone. As expected, abundant materials such as iron, aluminum, chromium, and silicon made up the majority of the cell phone construction. For example, the results showed the phone used in the tests contained 33g of iron, 13g of silicon and 7g of chromium, as well as smaller quantities of other abundant substances. 3D printing with metals has made many advances in recent years, but there are still limitations researchers are trying to improve to fine-tune the process and create more stable and complex objects. To that end, researchers at Carnegie Mellon University—collaborating with Argonne National Laboratory—have identified a key reason for an abnormality in metal 3D-printed products. Specifically, they now understand how gas pockets in those products form, potentially eliminating cracks and other failures in future products that these pockets can cause. Both AT&T and Verizon confirmed that they’re going to migrate traffic from their current 4G LTE networks to their nascent 5G networks by using a technology called “dynamic spectrum sharing.” This technology essentially will allow 4G and 5G users to take turns using the exact same chunk of spectrum. Initially, the line of 4G users will be much longer, so they’ll take most of the turns. But as the number of 5G users grows, they’ll take an increasing number of turns using a given chunk of spectrum. The result though will be very spectrally efficient, because no matter who is taking their turn, the spectrum will be working rather than lying fallow. Mathematicians long wondered whether it’s possible to express the number 33 as the sum of three cubes—that is, whether the equation 33 = x³+ y³+ z³ has a solution. They knew that 29 could be written as 3³ + 1³ + 1³, for instance, whereas 32 is not expressible as the sum of three integers each raised to the third power. But the case of 33 went unsolved for 64 years. It is only once you start thinking about some of the huge day-to-day challenges our visual system constantly faces that the true wonders of the brain start to emerge. Our brain uses a really clever and almost science-fictional trick that prevents us from living in the past: we look into the future. Our visual system is continuously predicting the future, and the world that you are now perceiving is the world that your visual system has predicted to be the present in the past. This idea takes a bit of time to get used to, and the first time I heard it, I thought it must be crazy. However, unless we predict the future, we will always experience the past. The telecoms industry is set to grow at less than 1% a year in revenues for the next three years. This applies to both fixed and mobile services, according to STL Partners in its latest survey of global telecoms revenue from 2019 to 2022 (see chart). For fixed and mobile combined, of the ten largest markets, China will grow most at 3.7% a year, says STL. India will shrink the fastest over the period, with an annual decline of 1.6%. The collaboration, which comes into effect immediately, begins with Datacenter One’s facility LEV1 in Leverkusen connected to DE-CIX, and will remain in place for the foreseeable future. Further DE-CIX sites will be created in the next few years because of the partnership. 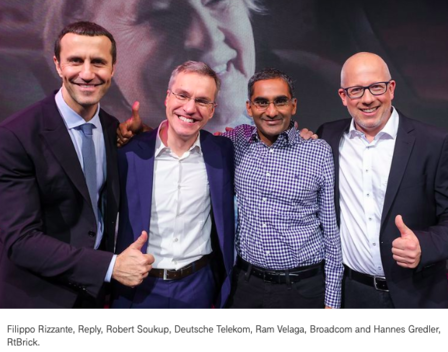 The collaboration between the two has been designed to meet the strong demand for fast and low-cost interconnection services in additional German regions. DE-CIX is also present elsewhere in Germany with offices in Hamburg, Munich, Dusseldorf, and Berlin.